Are you scared to ride your horse out of the arena? Are you scared to go on trail rides? Do you avoid certain things and situations because you are afraid what your horse will do? Then this is the perfect clinic for you! 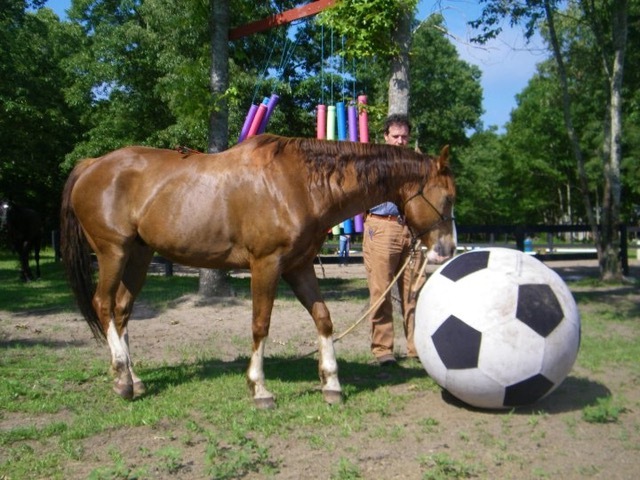 In Spook and Survive, we learn how to prepare our horse on the ground and then in the saddle so that they are ready and confident to take on any challenge! This one or two-day clinic starts with a brief discussion about why our horses spook, and how we can better set them up for success in the future. After that, we start on line and on the ground with our horses. I will show you several techniques to get your horse confident with new objects and new situations. We then have a break for lunch. At 1pm, we start as a group again- but in the saddle! 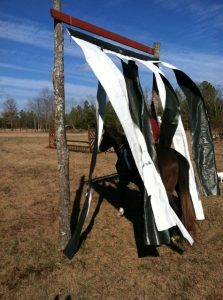 You will learn how to apply the same techniques as you did on the ground, in the saddle. 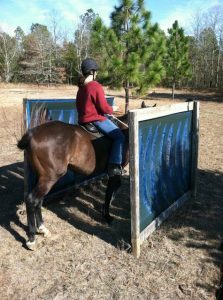 We will also focus on your riding position so you feel safe and secure. Morning: After a review and a bit of practice on line, we will repeat everything in the saddle then hit the trail!